Contact lens is a very good option for weak eye. It is easy to apply, easy to remove and it is also quite easy to care. You can take contact lens according to your doctor’s advice. Many people are complaining that they get irritation and their eyes become red due to contact lens. There are many side effects of contact lens so we should avoid wearing it. First, you should wash your hand before wearing contact lens. You should touch the lens once your hands thoroughly become dry. Read the instructions given on the lens before wearing it. Your lens works for longer time. After each use, wash your lenses with solution. Your eyes will be left to the side effects of lenses. Bacteria and germs destroy when you clean your lenses. You can use cleaning drops to clean your lenses. You should change lens cover or box every three months. You should clean your lens cover after every use. When the box is empty then leave it open for a while so that the air can pass from it. 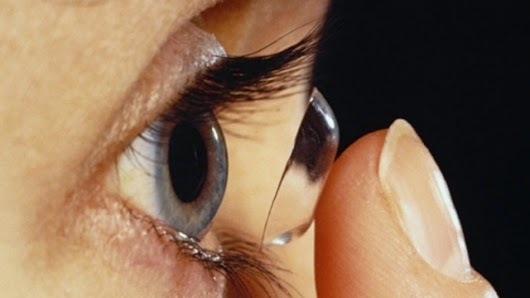 If you wear lenses occasionally then you should check your solution that it is not too old. Using old solution not only affect the lens but also it affect your eyes. There are several types of solutions available in the market for lenses you can choose any solution according to your needs. When you are going in the swimming pool or hot tub for bath you have to keep in mind to remove the lens. Always wear lenses after applying makeup so it does not come into contact with cosmetic. Clean your make up and wash your hand before removing the lens. Whenever you go out in the sun then you should wear sunglasses or hat. So the UV rays cannot affect your lens.